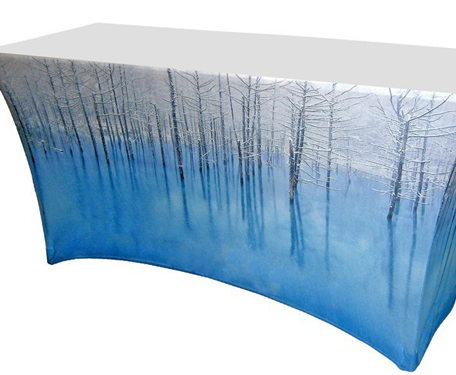 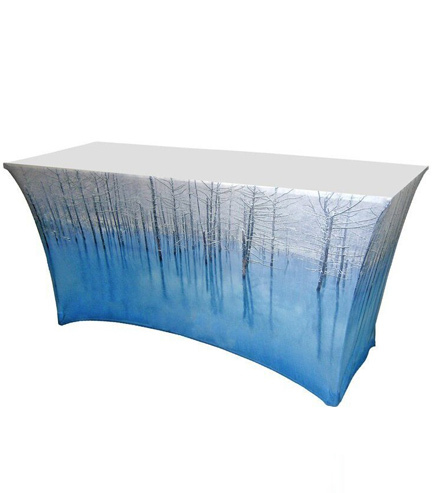 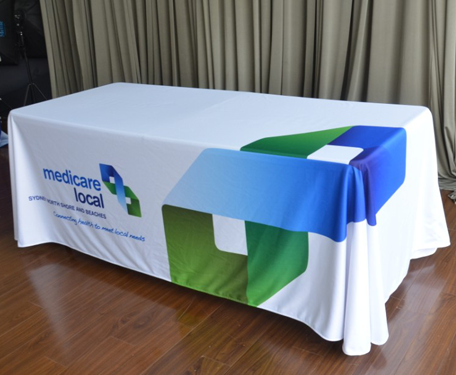 Enhance any table with these custom printed table covers. 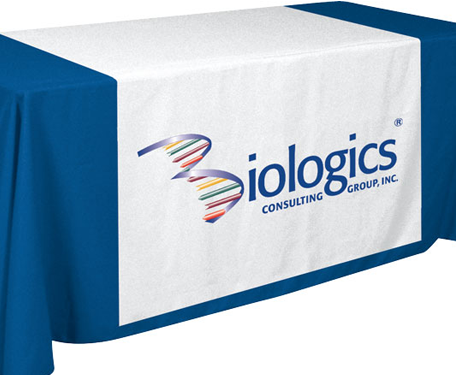 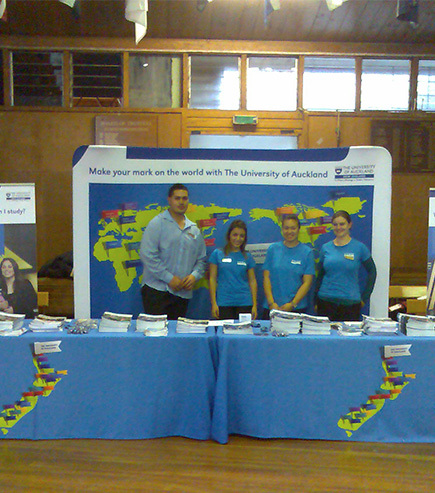 Printed table covers, table cloths or table runners are a great way to brand your company at shows, sales or events. 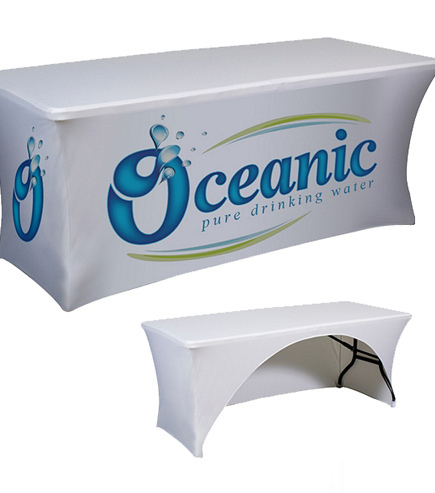 These products are very popular in venues like trade shows, conventions, fairs, stores and marketing campaigns, even for schools and Universities, athletic, community and civic organizations. 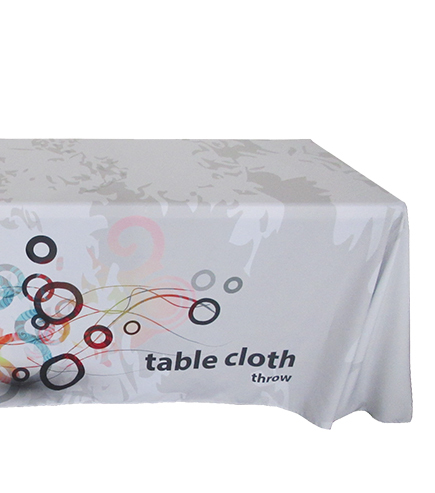 Our printed table cloth features full colour art through a dye-sublimation printing process with no minimum quantities. 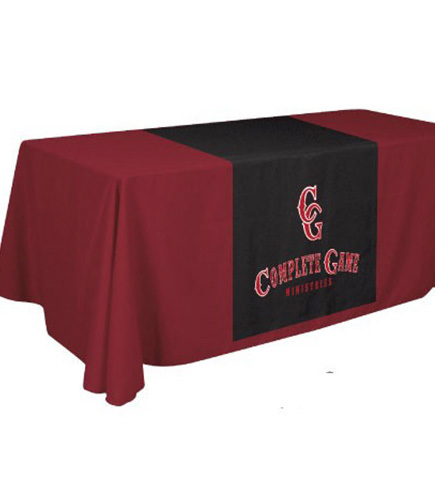 Standard sized table covers fits 6ft and 8ft tables, but any other custom-size is also available – just tell us what you need. 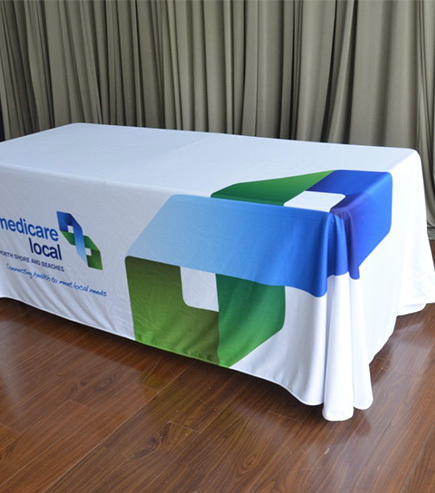 We print onto a range of fabrics, including low crease polyester options, as well as stretch fabric options for a more fitted solution.